Lizzy and Jane couldn’t be further from Jane Austen’s famous sisters for whom they are named. Elizabeth left her family’s home in Seattle fifteen years ago to pursue her lifelong dream—cheffing her own restaurant in New York City. Jane stayed behind to raise a family. Estranged since their mother’s death many years ago, the circumstances of their lives are about to bring them together once again. 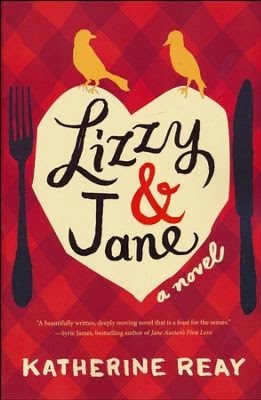 As Elizabeth pours her renewed energy into her sister’s care and into her burgeoning interest in Nick, Jane’s handsome coworker, her life begins to evolve from the singular pursuit of her own dream into the beautiful world of family, food, literature, and love that was shattered when she and Jane lost their mother. Will she stay and become Lizzy to her sister’s Jane—and Elizabeth to Nick’s Mr. Darcy—or will she return to the life she has worked so hard to create? Purchase the book HERE. Katherine Reay has enjoyed a life-long affair with the works of Jane Austen and her contemporaries, and her favorite authors also include C. S. Lewis, Madeline L’Engle, Charles Dickens, J.R.R. Tolkien, John Piper, Timothy Keller, and the Bronte sisters. After earning degrees in history and marketing from Northwestern University, Katherine worked as a marketer for Proctor & Gamble and Sears before returning to school to earn her MTS. 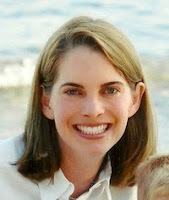 Katherine is an avid runner and a black belt in Tae Kwon Do. Her works have been published in Focus on the Family and the Upper Room. After living all over the world (including London), she currently lives with her husband and three children (with a great sense of permanency) in Seattle. Dear Mr. Knightley is her first novel. Follow her on Facebook HERE.